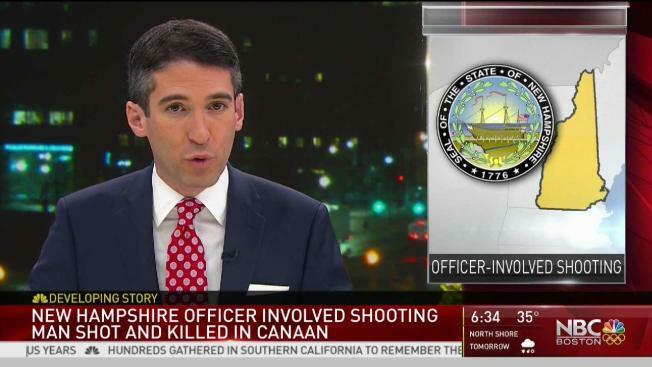 A New Hampshire State Police trooper was involved in a deadly shooting Saturday night in Canaan, according to the attorney general. The shooting took place in a field located at the junction of Route 4 and Switch Road, according to AG Gordon MacDonald. Sunday, MacDonald identified the man who was killed as 26-year-old Jesse Champney of Enfield. The trooper who fired the shot has not been named. According to MacDonald, Champney was shot four times. The cause of death was determined to be homicide. The trooper has been placed on administrative leave and the shooting is still being investigated by the Attorney General's Office in conjunction with the State Police Major Crime Unit.